Since 1973, Life Data Labs, Inc. has funded and conducted equine research that has benefited the horse industry and since 1997, it has paired with one of the most celebrated and respected horsemen in the world. This season, Chester Weber and Life Data Labs celebrate a remarkable sixteen years together using Farrier's Formula® to put the greatest hooves in the world on some of the world's greatest horses, including 2008 USEF Horse of the Year, Jamaica. Farrier's Formula® was developed and introduced in 1979 by J. Frank Gravlee, DVM, MS, CNS, launching the "feed the hoof" approach to supplementing the diet to build stronger hooves and connective tissues. 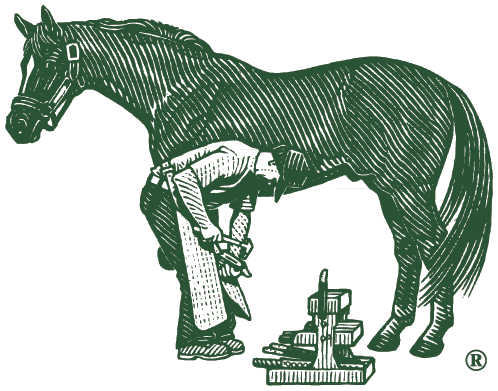 It has been the number one recommended product by farriers in the U.S. for twelve consecutive years. It's been number one for Weber even longer. He first began to see its benefits in 1997, in his winning pairs teams, and Farriers Formula has stayed in his tack trunk ever since. It has been there for all nine U.S. National Four-in-Hand Championships; for his first team Silver medal at the 2002 World Equestrian Games, an Individual Silver medal at the World Driving Championships in 2008, and for the second team Silver at WEG 2010. In 2012, Weber took the Individual Silver and Team Bronze at the World Driving Championships at Reisenbeck. At Aachen earlier this summer, he finished in the top three individually and at the CAIO Saumur, for the first time in his career, his team lead from wire-to-wire including the tyrannical terrain of marathon. And most recently, Team Weber finished in top 3 at the CAI Beekbergen. As a team develops, everything around them – from their equipment to their diet – must evolve with them. For Weber, Farriers Formula has proven it can go the distance. That star power was evident when the U.S. team Silver medalist signed autograph after autograph at the Life Data Labs booth during the 2010 World Equestrian Games. The winning formula to a lasting partnership isn't that different from strong and lasting hooves. It's about making strong connections. Farriers Formula and Farrier's Formula Double Strength provide nutrients, including omega fatty acids and and amino acid ‘protein building blocks’ that enable horses to generate strong structural and connective tissue proteins. Follow Team Weber on their next medals quest, the 2014 World Equestrian Games, at www.chesterweber.com and via the link to Facebook.